In the middle of August we discovered a malware-spreading campaign in the Czech Republic. Our interest was first kindled by the site that the malware was hosted on – a domain that passed itself off as belonging to the Czech Postal Service – but more interesting findings followed. Despite being a “new kid on the block”, it appears that Win32/Spy.Hesperbot is a very potent banking trojan which features common functionalities, such as keystroke logging, creation of screenshots and video capture, and setting up a remote proxy, but also includes some more advanced tricks, such as creating a hidden VNC server on the infected system. And of course the banking trojan feature list wouldn’t be complete without network traffic interception and HTML injection capabilities. Win32/Spy.Hesperbot does all this in quite a sophisticated manner. When comparing the Czech sample to known malware in our collection, we discovered that we had already been detecting earlier variants generically as Win32/Agent.UXO for some time and that online banking users in the Czech Republic weren’t the only ones targeted by this malware. Banking institutions in Turkey and Portugal were also being targeted. The aim of the attackers is to obtain login credentials giving access to the victim’s bank account and to get them to install a mobile component of the malware on their Symbian, Blackberry or Android phone. Keep reading for details on the malware spreading campaigns, their targets and for technical details on the trojan. The Czech malware-spreading campaign started on August 8, 2013. 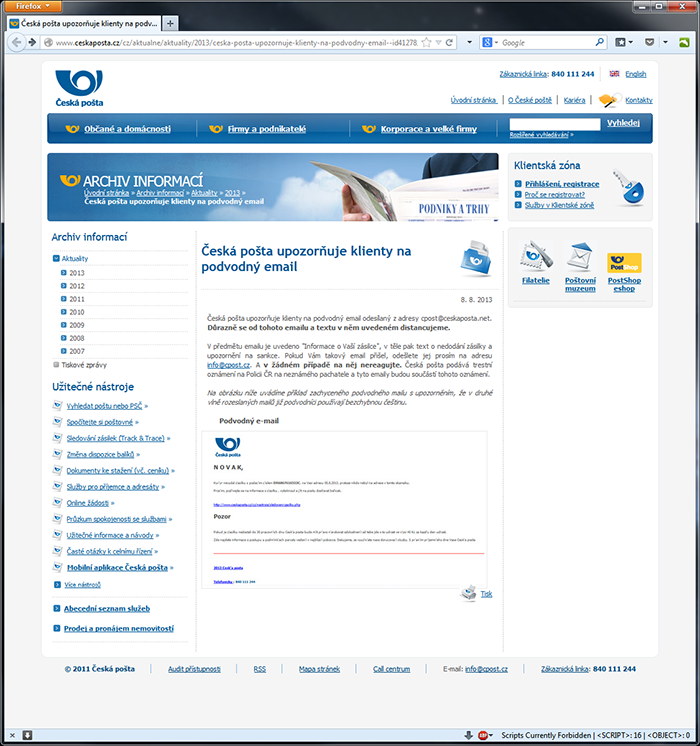 The perpetrators have registered the domain http://www.ceskaposta.net, which is very close to the real website of the Czech Postal Service, www.ceskaposta.cz. The domain was registered on August 7, 2013 and the first malware Hesperbot binaries (detected as Win32/Agent.UXO at first) distributed in the Czech Republic were compiled on the morning of August 8, 2013 and picked up by our LiveGrid® system moments later. It’s probably not surprising that the attackers tried to lure potential victims into opening the malware by sending emails which looked as parcel tracking information from the Postal Service. Similar techniques have been used many times before (e.g. here and here). The filename used was zasilka.pdf.exe: “zasilka” means mail in Czech. 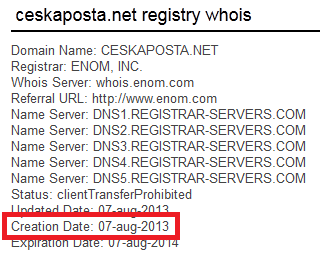 The link in the email showed the legitimate www.ceskaposta.cz domain while pointing to http://www.ceskaposta.net, which many victims hadn’t noticed. Interestingly enough, the fake domain actually redirected to the real website when opened directly. It should be noted that the Czech Postal Service responded very quickly by issuing a warning about the scam on their website. 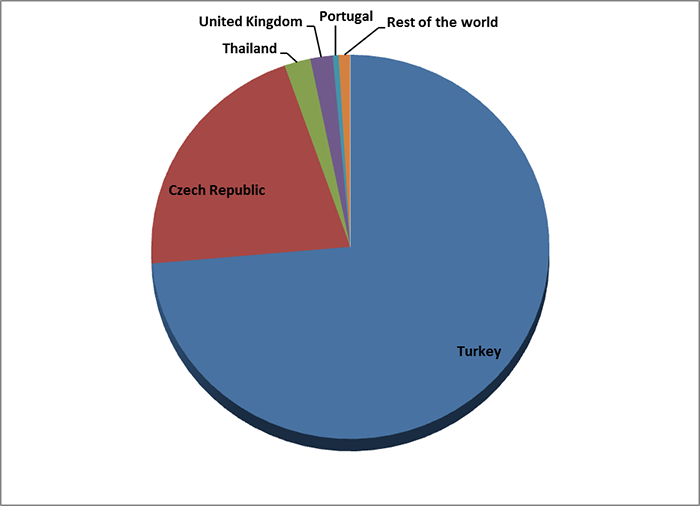 While the Czech campaign was the one that caught our attention, the country most affected by this banking trojan is Turkey and Hesperbot detections in Turkey are dated even earlier than August 8. Recent peaks in botnet activity were observed in Turkey in July 2013, but we have also found older samples that go back at least as far back as April 2013. During the analysis of the samples we found that they were sending debugging information to the C&C – an indicator that these variants were in the early stages of development. Additional research revealed that Turkey has been facing Hesperbot infections for some time now. The campaigns used in Turkey are of a similar nature to the Czech campaign. The phish-like e-mail that was sent to potential victims purported to be an invoice (the file name is fatura in Turkish) from TTNET (the largest ISP in Turkey). A malicious file with a double extension – .PDF.EXE – was used here too. An analysis of this campaign has been published on the website of the Turkish National Information Security Program. Only later in our research did we find that the malware operators have shifted their sights towards Portugal. Similarly to the Turkish campaign, the malicious files were disguised as an invoice from a local service provider with a very large market share, Portugal Telecom. A variant designated to target computer users in the United Kingdom has also been found in the wild, but we cannot provide further details about its spreading campaign at the time of writing. 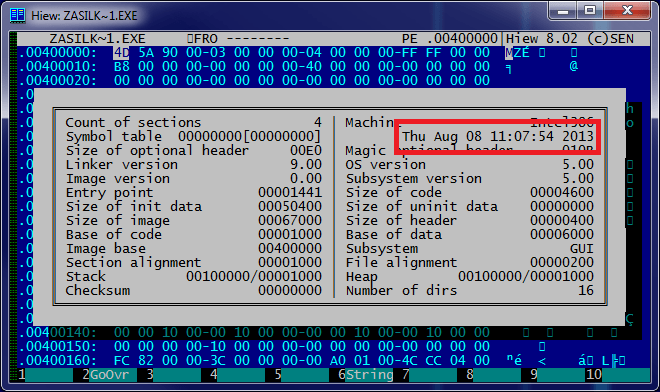 In the course of our research, we also stumbled upon an additional component used by Win32/Spy.Hesperbot. This malware, detected by ESET as Win32/Spy.Agent.OEC, harvests e-mail addresses from the infected system and sends them to a remote server. It is possible that these collected addresses were also targeted by the malware-spreading campaigns. 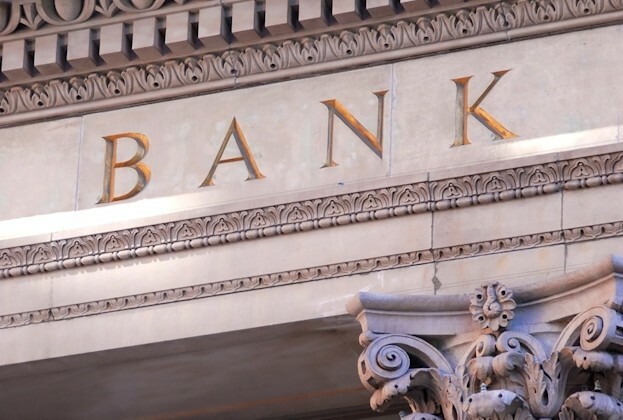 The configuration files used by the malware’s HTTP interception and injection module specify which online banking websites are to be targeted by each botnet. In the case of the Turkish and Portuguese botnets, the configuration files also included web-injects, i.e. pieces of HTML code that the trojan would insert into the banks’ web-pages when viewed on the infected PC. This was not present in the Czech configuration file that we found, so most probably only simple form-grabbing and keylogging functionality was used in that instance. 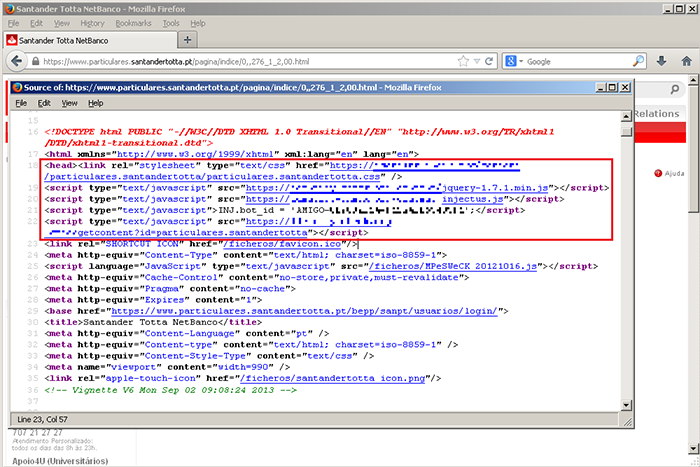 Figure 7 – Malicious scripts injected into Portuguese bank website. Notice that the URL address is legitimate, including the HTTPS protocol. According to our ESET LiveGrid® telemetry, as well as our hands-on research into the malware operation, we estimate that the number of people that may have fallen victim to the Hesperbot banking trojan is in the scale of tens in the Czech Republic and Portugal (respectively) and in the scale of several hundred in Turkey. Detection statistics per country are shown in the figure below. It has also come to our attention that victims in the Czech Republic have lost significant amounts of money as a result of infection by this malware. It’s quite possible that there are similarly unfortunate victims in Turkey and Portugal as well. We will be publishing a thorough technical analysis of the Win32/Spy.Hesperbot binaries soon. Stay tuned.